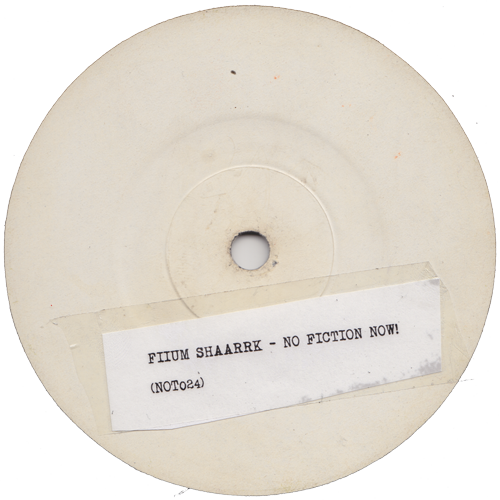 Fiium Shaarrk – No Fiction Now! NOT024 – Fiium Shaarrk – No Fiction Now! 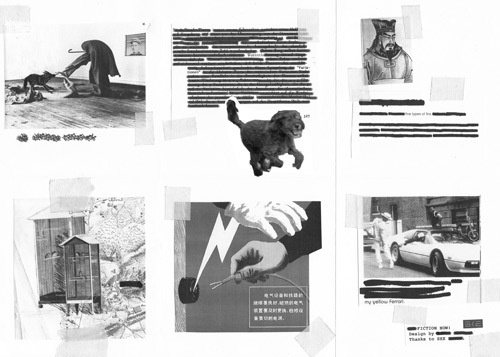 – Release date: 19th November 2012. Limited Edition CD & Digital Release. Recorded by Ed West @ Studio East. Berlin, 10th – 13th May 2010. Mixed by Fiium Shaarrk & Will Worsley @ Trouble Studios. Mastered by Will Worsley @ Coda-Cola, London. 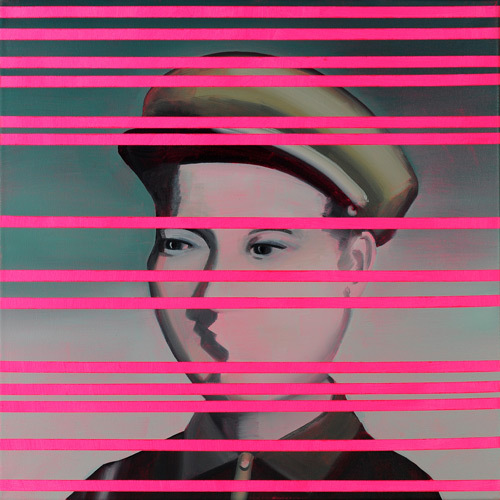 Cover: Katrin Plavcak, Woman Soldier, Acrylic and Oil on Canvas, 2010. "(…) you are essentially blind in a fighting circle of beats. But that’s the thrill." "(…) a cerebral and visionary trio (…) a fascinating collision between the fragile, visceral textures of electronica, the percussively dynamic explorations of genre-bending rock and the wayward, maverick intensity of 20th century composers like Xenakis and Stockhausen. (…) Fiium Shaarrk’s music is joyfully naïve, virtuosic (…) hypnotic, engaging and beguiling." "(…) we’re talking, or rather tuned into Fiium Shaarrk, and they just so happen to comprise two of the finest percussionists I’ve seen here or indeed anywhere (…) They’re wholly worth watching." "(…) we were instantly treated to the sensation of having our bodies invaded by thousands of infinitely complex machine insects. It’s rare that a band can have such an instant and disquieting effect, but Fiium Shaarrk’s music, we discovered, is as unusual as their name in many ways. (…) They are one of the very few acts I’ve ever seen who can rival Autechre for inhumanly strange synaesthesic noise-making, but extremely distinctive too: an exciting proposition all round." Fiium Shaarrk is a new trio, uniting the formidable skills and the improbably diverse backgrounds of Rudi Fischerlehner (drums) Maurizio Ravalico (percussion) and Isambard Khroustaliov (electronics). No Fiction Now! is their debut album, due for release in the autumn of 2012 via Not Applicable. Alternating freely between a jigsaw of unquantised proto-dance grooves, the luxuriant austerity of 20th century composed percussion music and the fertile landscape of live electronics, Fiium Shaarrk’s music is at once visceral, cerebral and visionary; at times joyfully naive and at others virtuosic and painstakingly scientific. Fiium Shaarrk draw openly from a diverse array of past musical influences; from Tortoise to King Crimson, Max Roach to Napalm Death, Autechre to Xenakis and Dubstep to Maracatu. However, their unreasonably unassuming explorative music is most unquestionably addressed to the men and women of today.